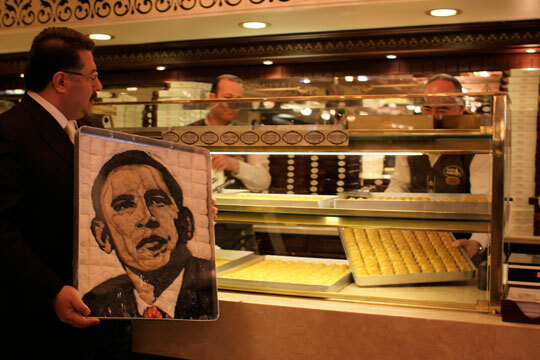 Nadir Gullu, chef and baklava master of Karakoy Gulluoglu, shows off his portrait of President Obama made of baklava, also known as the Baracklava. Turks rejoiced when Barack Obama was elected president last November, and he remains a popular figure in predominantly Muslim Turkey. But sentiment has been mixed in Istanbul, as the president winds up his European trip there this weekend. It’s Obama’s first visit to a Muslim country since his election and perhaps the sweetest expression of Turkey’s attitude toward Obama comes from Istanbul’s famed bakery, Karakoy Gulluoglu. Bakers there have created a portrait of the president out of baklava. Owner Nadir Gullu said it took five chefs working for two days straight to create the pastry portrait, which they’ve taken to calling — yes — Baracklava. Today in the Daily Nation, Kenya’s premier newsprint, there is a beautifully written article on Obama’s win, what it means to the country that gives him his last name, and what Africa expects from an Obama-Biden administration. Africa does not expect alms from the United States now that an African-America is soon to be sworn in as its president. That was not the point of the overwhelming goodwill and support that the continent lent to President-elect Barack Obama in his audacious, and wildly successful, fight for the most powerful office on the planet. Kenya is proud of Mr Obama, his almost unimaginable achievement, and just like he has inspired tens of millions of Americans, we too shall draw inspiration from his example. His victory provides evidential justification for disadvantaged minorities and people of color to reassure their children that they too can rise above the limitations of their station, the sins of their parents, and the disadvantages of their circumstances. And it is a lesson to every African father to create the right conditions for their children, to not allow the limitations of their own vision to be a hindrance to the aspirations of their offspring. 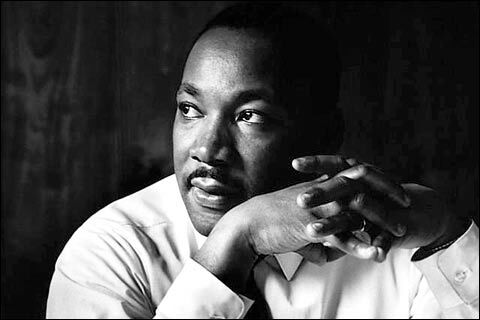 To Africa and the entire black race, Mr Obama is the vindication of our humanity. Africa hopes Mr Obama realizes that access to opportunities is not a preserve of Americans. While protecting America’s prosperity, he must have something to say about fair trade, particularly for Africa. The earth is dying, poisoned by the avarice of man. Those who profit from the poisoning will not even acknowledge that their activities pose a danger to humanity. Africa expects Mr Obama to add his voice to those cautioning that we shouldn’t live just for today but must take care of tomorrow too.